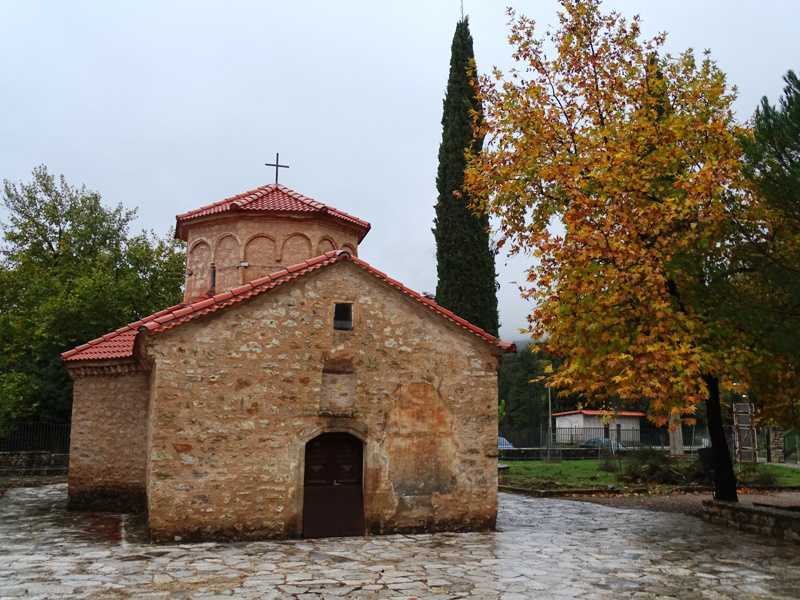 As winter is coming and the temperature is dropping I decided to visit the popular town of Kalavrita. 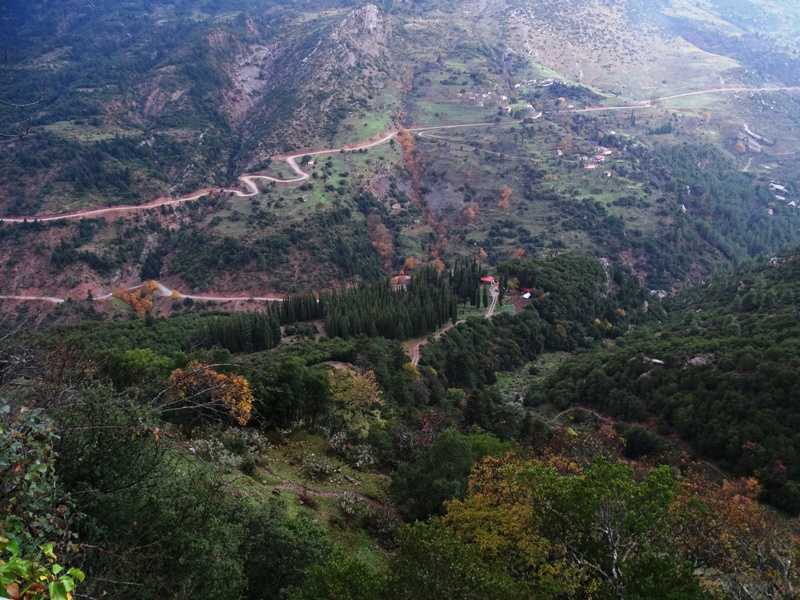 This picturesque town is located in north Peloponnese in the slope of mountain Helmos. It is only 191 km away from Athens and 77 km away from Patra. It is accessible either by car, train or public bus (ktel). 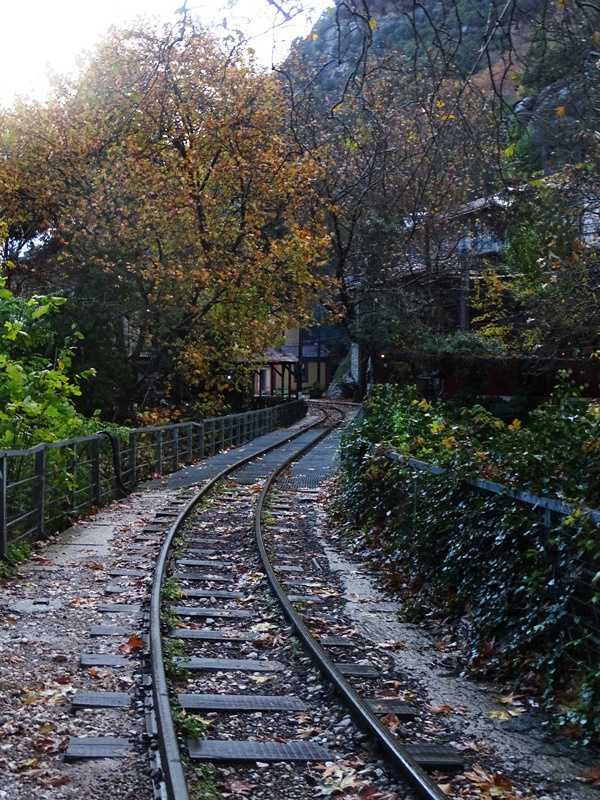 Kalavrita is widely known for its ski resort and its rack railway. As I was doing research before my trip to see what one can do I discovered that the area offers a wide range of activities both for children and grown ups. 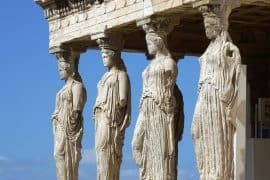 Here is a list with 10 things one can do in Kalavrita Greece. 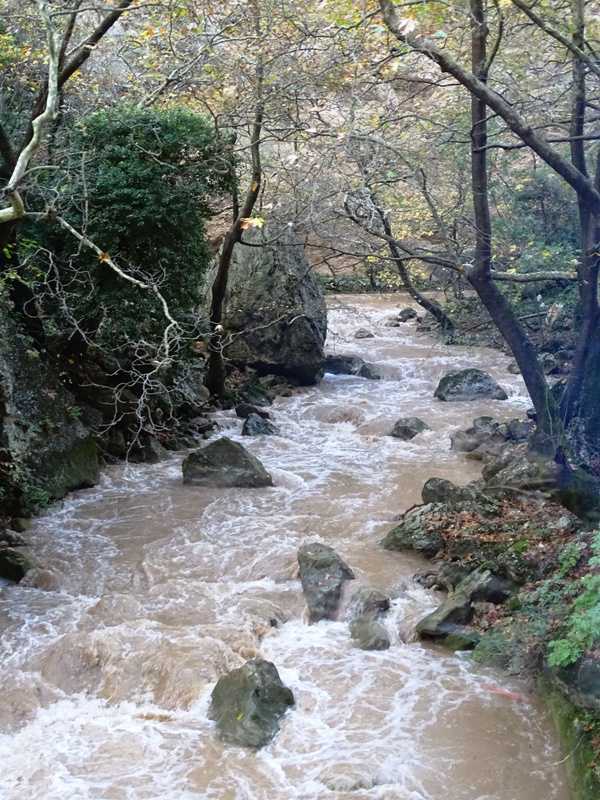 As I mentioned before Kalavrita is very popular during the winter times due to its ski resort. 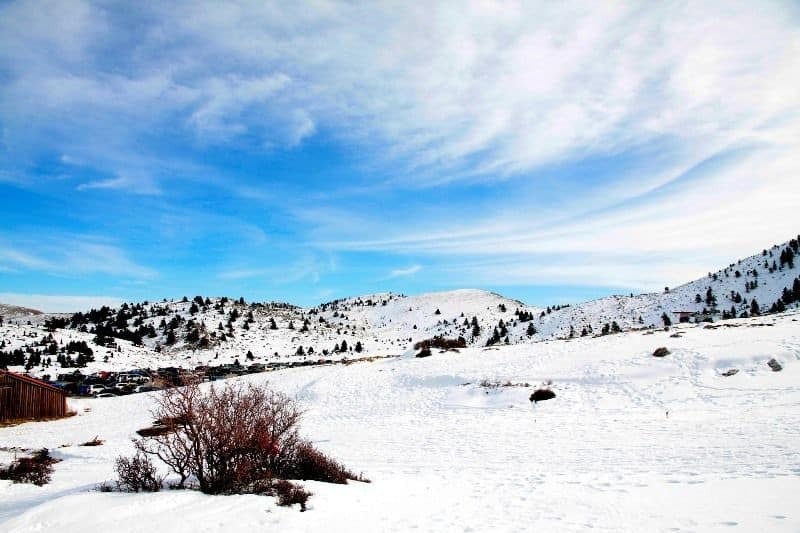 It is situated 15 km away from the town of Kalavrita at mountain Helmos and at an altitude of 1700 meters to 2340 meters. The ski resort offers 8 lifts and 13 slalom of all categories and is ideal for both the professional and novice skier. On site one can find parking space, restaurants, cafe, shops selling and hiring ski equipment and a first aid station. Also ski lessons are available. Odontotos was built-in 1895 and it connects the seaside town of Diakofto with Kalavryta. It is one of the few track trains in the world and it took its name from the mechanism it uses to climb when the degree of slopes exceeds 10%. Another thing that makes it unique is the fact that it is the narrowest railway in the world with a width of 75 centimeters. 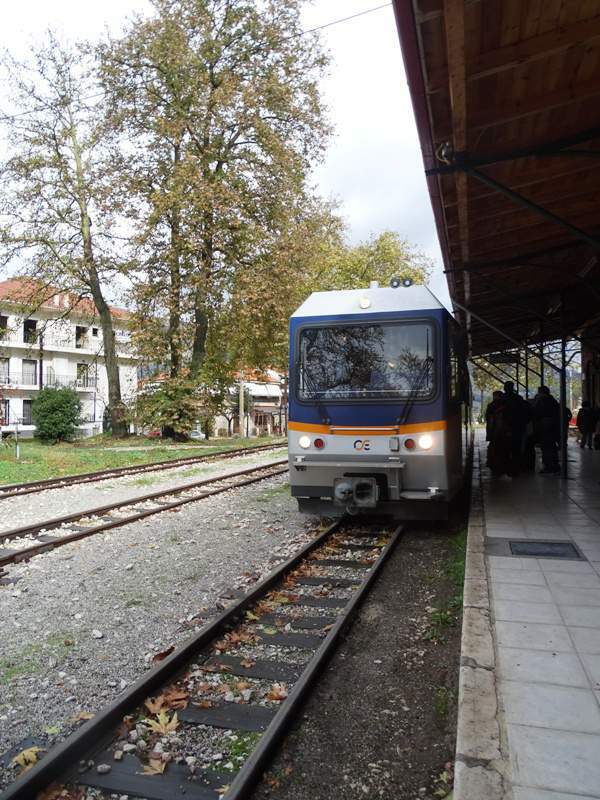 The journey between Diakofto and Kalavryta lasts 1 hour and it is 22 km. The train makes one of Greece’s most scenic routes as it passes the Vouraikos gorge. On the way the visitor can admire the river, a few waterfalls and incredible rock formations. It is a great attraction both for adults and children and it operates all year round. On national holidays and weekends it is recommended to book tickets in advance. The Cave of Lakes is located in Kastria village 17km away from Kalavryta. What makes this cave unique are the cascading lakes that can been found in three different levels inside the cave. Around the galleries one can admire the stalagmite and stalactite formations. 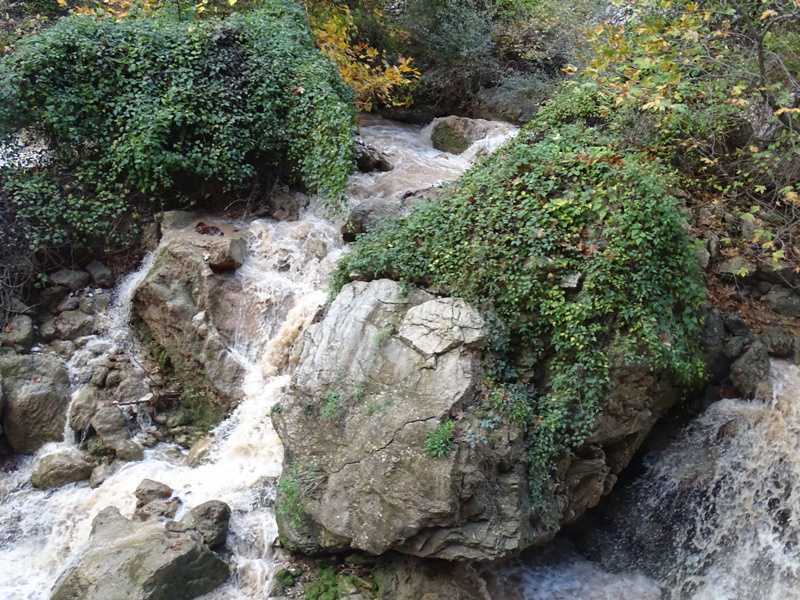 In winter when the snow melts the cave is being transformed into a subterranean river with many waterfalls. At the summer months most of the water dries up revealing nice formations on the ground. 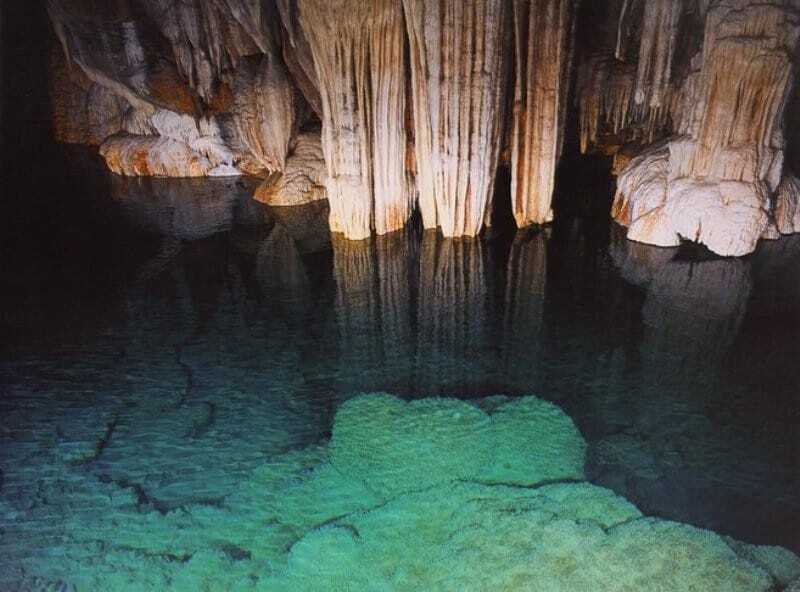 The cave has 13 lakes that retain water throughout the year. Only a small part of it is open to the public. The part that can be visited is easily accessible for both adults and children. One of the downsides is that photography is not allowed inside the cave. The cave is very impressive and it totally deserves a visit. 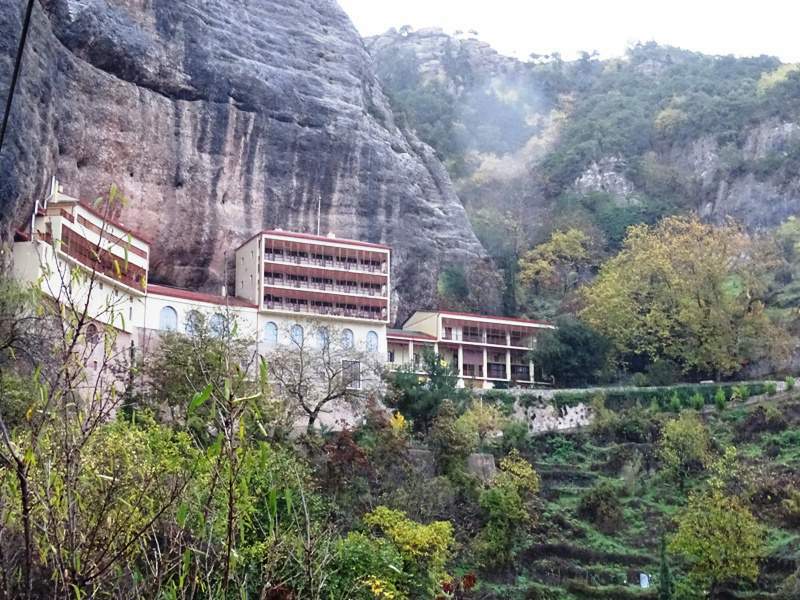 This beautiful monastery lies on a 12o meter rock just 10 km away from Kalavrita. It was built-in 362 A.D. by two brothers on the exact spot (cave) that the icon of Virgin Mary was discovered by a shepherd girl. The icon of Virgin Mary was created by Apostle Lucas from mastic and wax. The monastery has been burnt 5 times the last time being in 1943 when the German’s during the war burned the monastery and killed the monks. The view from the monastery is very impressive. 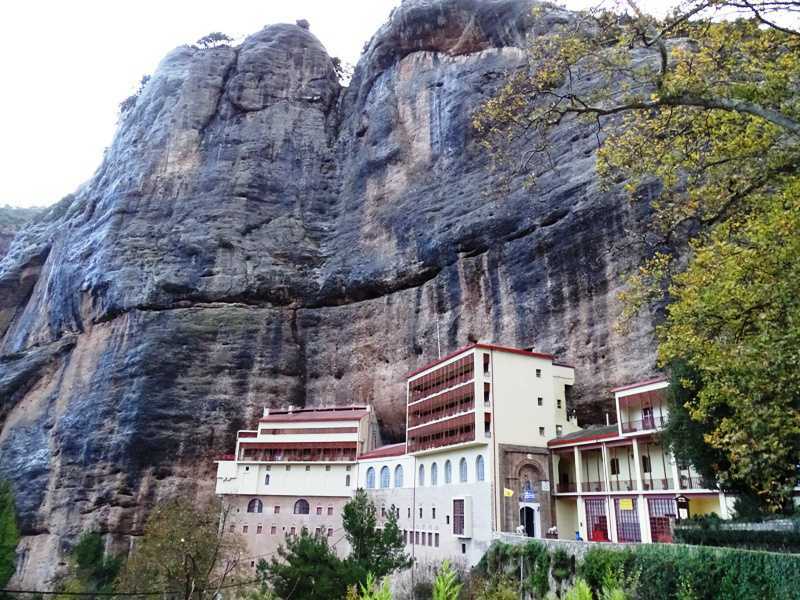 The monastery was built-in 961 AD and it is one of the oldest monasteries in the Peloponnese region. It has been destroyed a couple of times during the years. It played an important role at the Greek war of Independence as from this spot began the revolution against the Ottoman empire. 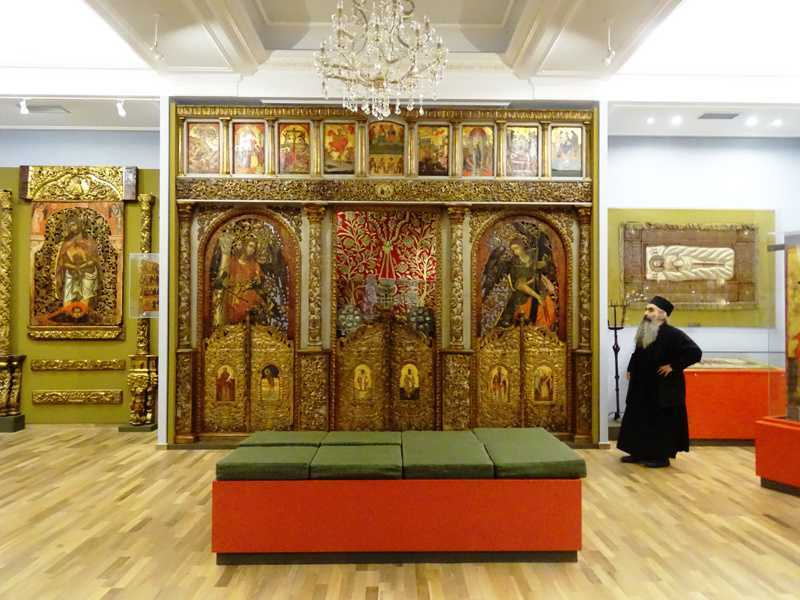 The revolutionary flag that bishop Germanos of Patras raised under the plane tree at the gates of the monastery can still be seen in the monastery’s small museum. The museum is located in the center of the city inside the old school of Kalavrita. During the second World War and when the area was occupied by the German troops all the inhabitants were gathered in this building. The woman and children were left inside the school and all the man 16 years and older were led in the nearby hill of Kapi where they were executed. The school was burnt but the woman and children managed to escape. 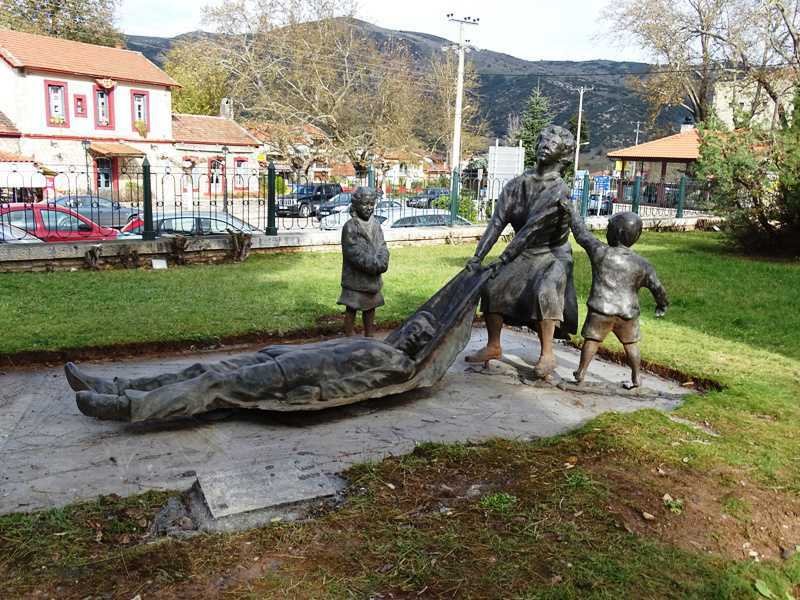 The museum tells the story of the town of Kalavrita and how the town was destroyed during the war. It was a very emotional visit but it totally worth it. The site of execution is only 500 away from the center and is open to the public. 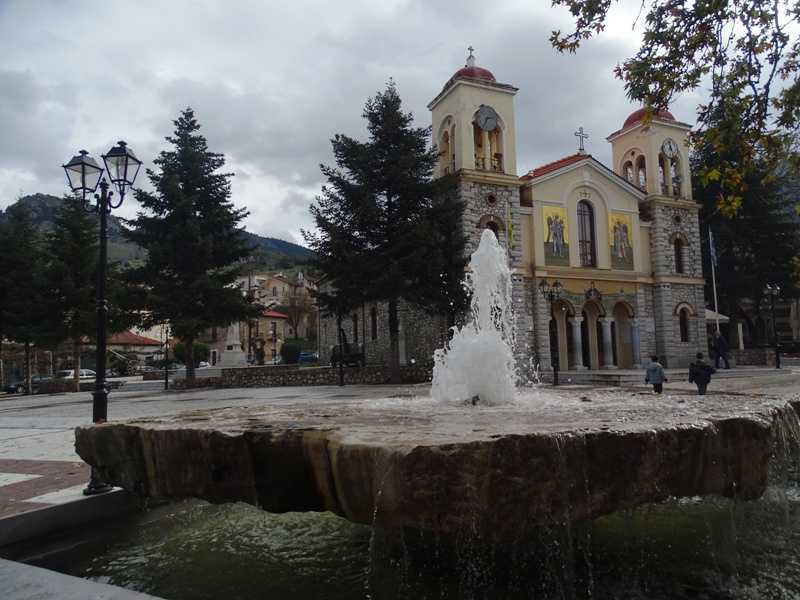 Planitero is a beautiful village located 25km away from Kalavryta after the Cave of Lakes. 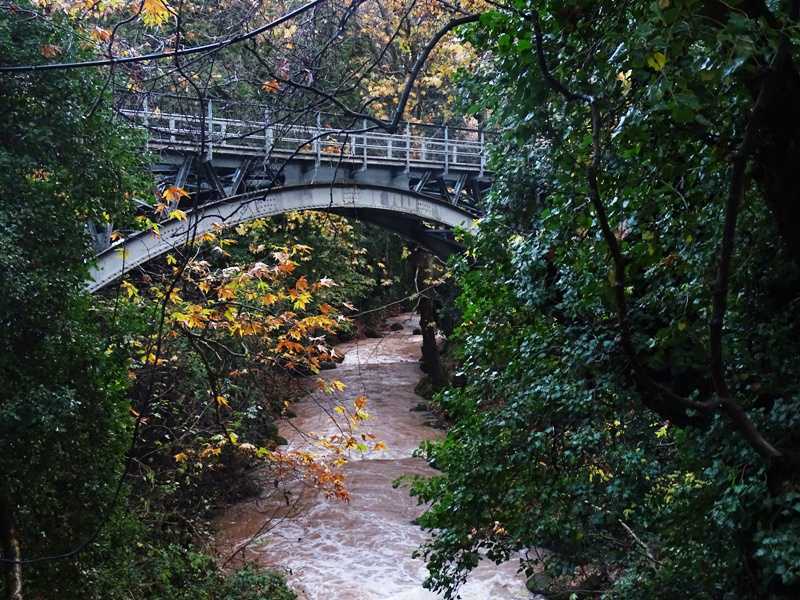 The picturesque village is surrounded by a dense plane tree forest and a small river. 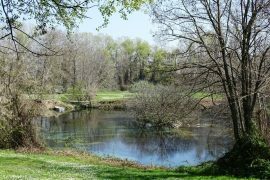 The area is famous for the trout fishery. 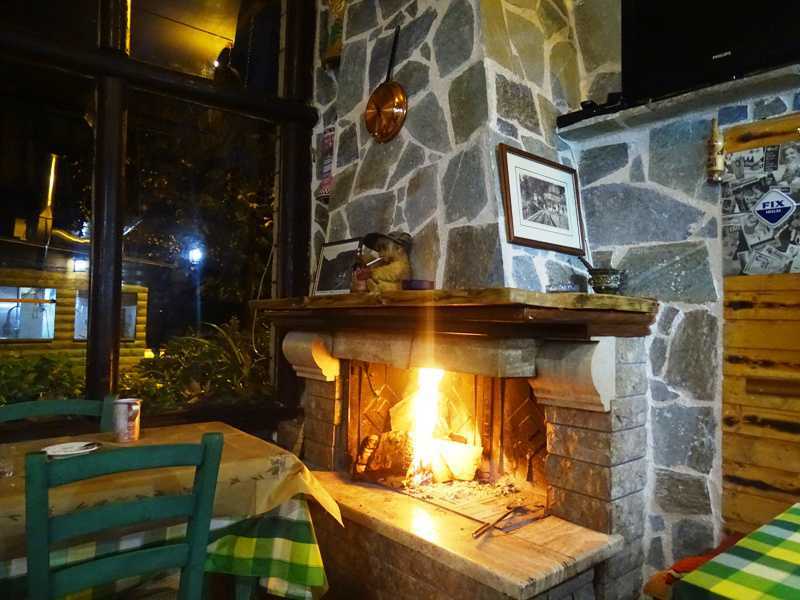 There are a lot of taverns in the area where one can taste traditional local dishes and trout. The area is also perfect for hiking. 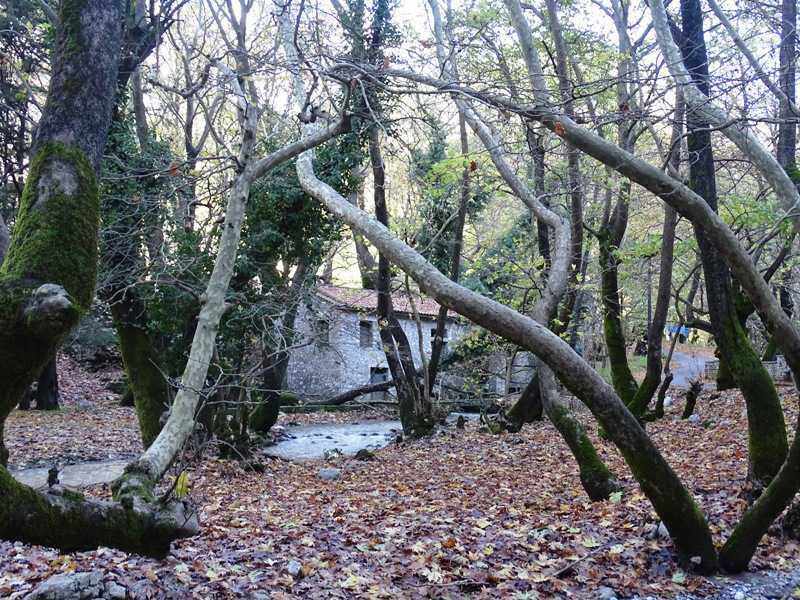 Zachlorou village is located 12 km away from Kalavryta in Vouraikos gorge. Vouraikos river passes through the village so is the rack railway. There are a lot of hiking paths around it. There is a path that leads to the nearby Mega Spilaio monastery and another one that leads to the town of Kalavrita among others. There is a beautiful restaurant by the rack railway station called Romantzo were we had lunch. The food was great with many local dishes to try. 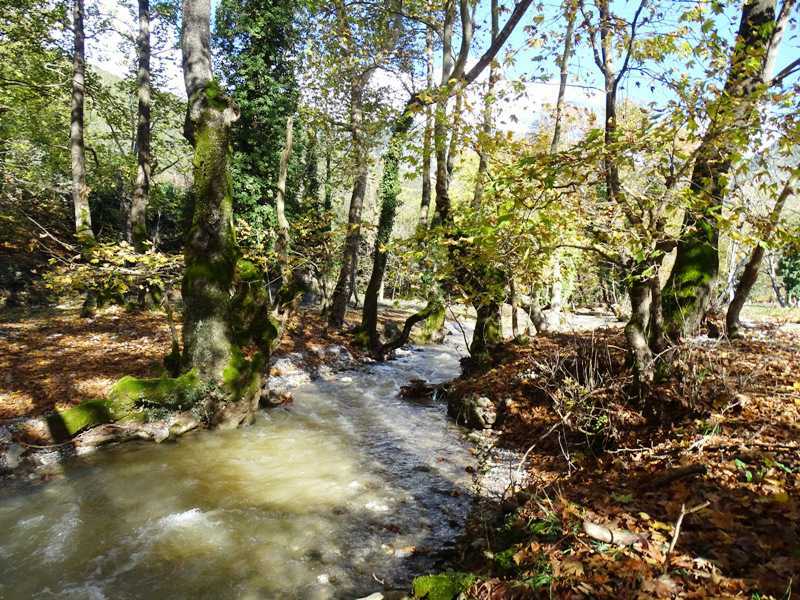 The area around Kalavrita has an incredible nature full of pine forests and rivers offering visitors a lot of opportunities for sports activities. 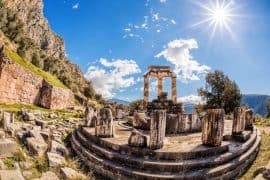 Apart from the popular ski resort other activities include hiking in one of the many paths around the mountain or passing the Vouraikos gorge while admiring one of the most beautiful natural environments. For the water enthusiasts there is the nearby Ladonas river which is perfect for kayak and rafting. Paragliding is another activity available in the area. During your flight you will be amazed by the beauty of the area. 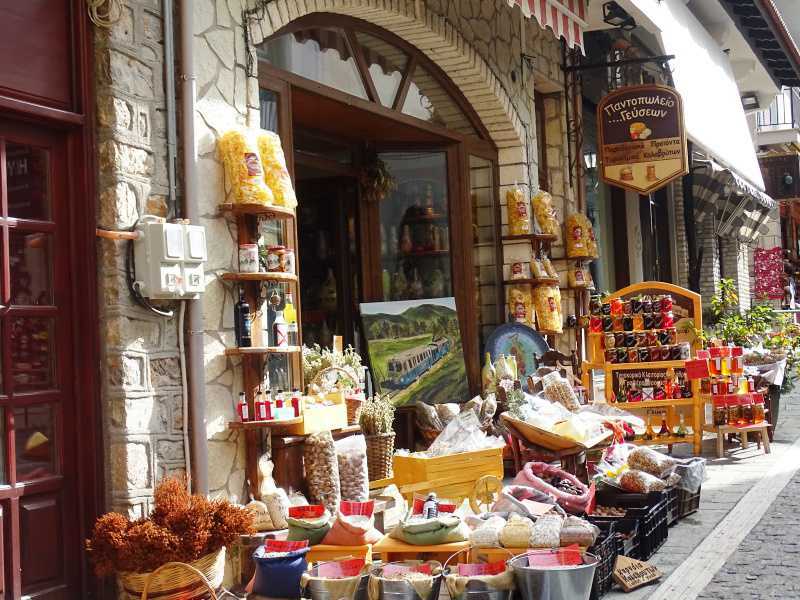 Kalavrita is a small town with stone paved streets, a beautiful square with cafe, nice shops selling souvenirs and traditional products like honey, hand-made pasta (chilopites in Greek) and herbs. The town is also famous for its tasty cuisine. 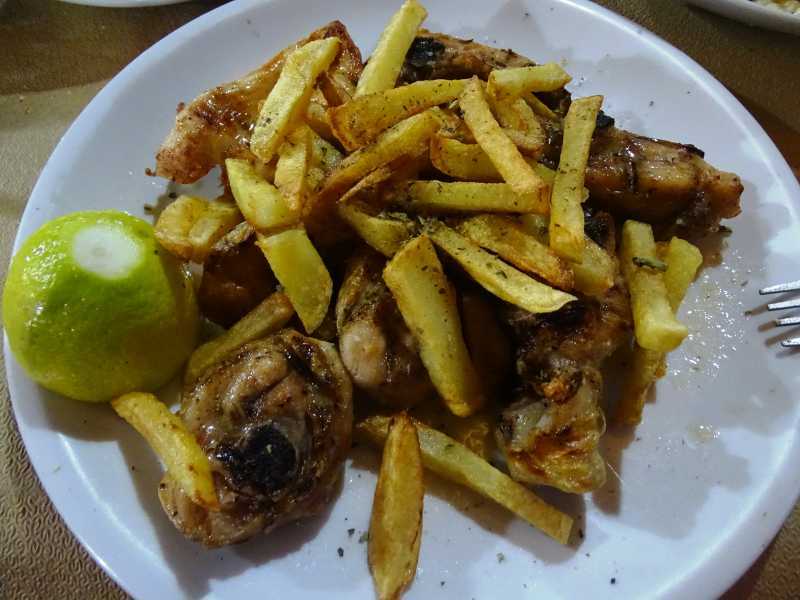 Some of the dishes you should try are the local sausages, traditional pies, gioulbasi lamb and rooster with pasta. 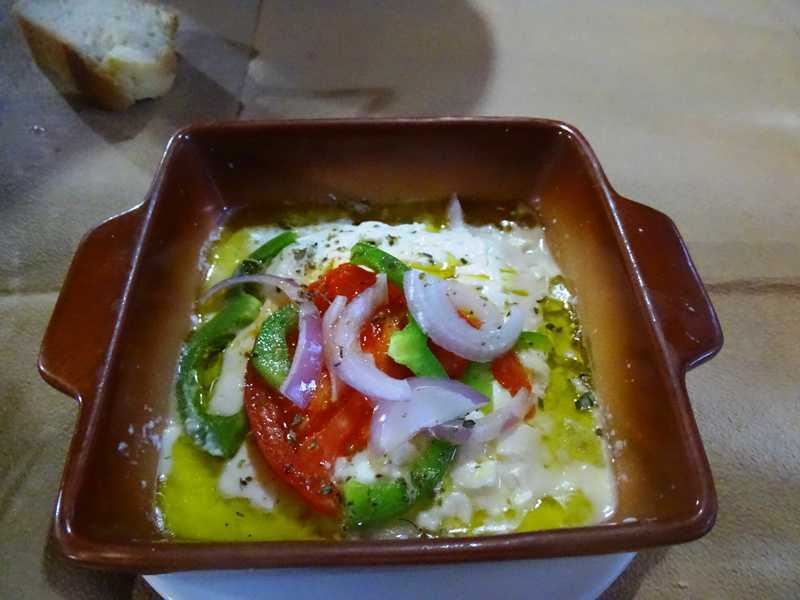 Wherever you eat in Kalavrita you will eat well. One of my favorite places was Romantzo in nearby Zachlorou village. 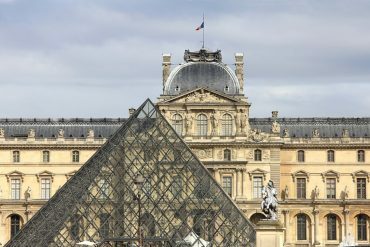 The city pass is valid for a month and if you decide to go to all 4 attractions your discount reaches 50%. On my visit to Kalavrita I stayed at the Filoxenia Hotel & Spa you can read more about it here. What I loved about the hotel was the central location, just opposite the main square with all the shops, bars and restaurants at your feet. Many of the attractions like the Holocaust museum and the Rack railway being just a few meters away. I liked the fact that I didn’t need to get in the car every time I wanted to eat or buy something. Another advantage was the very polite and friendly staff, the clean and warm rooms and most importantly the fantastic spa, perfect after a day exploring the town and skiing. 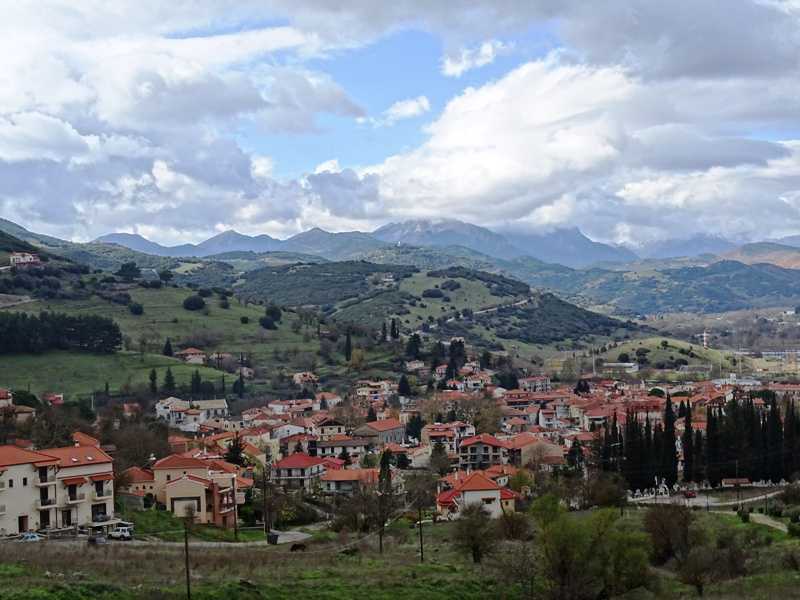 Kalavrita is a very nice town with many activities all year round. It was my second visit and it is definitely a place I will visit again in the future. What about you? 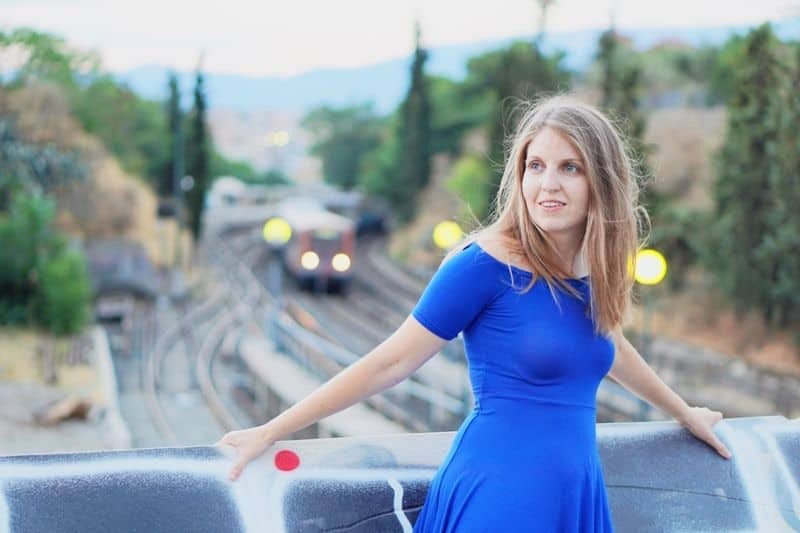 Have you been to Kalavrita? Looks like there’s a ton to do there. I love places like that, where you can just get lost all weekend. 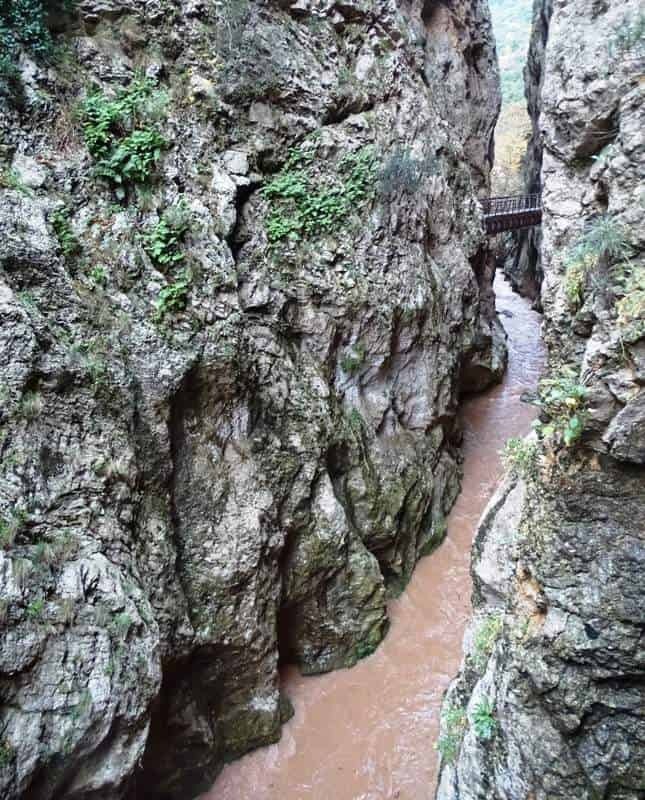 I’d love to see the Vouraikos gorge. Or the Caves Lake. And the food looks amazing! I absolutely love Greece but I’ve yet to visit with my daughter. Its great to read that the Cave of Lakes is accessible for children as well. It’s common in caves that you can’t take photos but it’s great to see it with your own eyes. 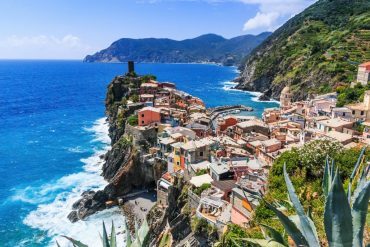 I think my daughter would enjoy the caves and the village and springs of Planitero. This sounds like a great addition to my list. Actually I’ve never heard of Kalavrita, but there is definitely much to do. Caves sound very interesting! I would like to bike the road shown on the picture of the view from monastery. I love checking out caves when we travel and this one sounds awesome. 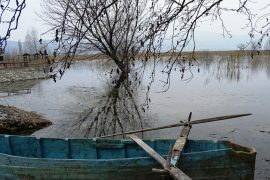 I can’t recall ever visiting one with lakes, especially one where there are lakes on multiple levels – very cool. What a nice city to visit! The caves sound really cool to explore, too bad you can’t take pictures inside though. How many days do you think would be ideal for a visit? Thanks for stoping by. That’s true the rack railway is an experience you can’t miss. 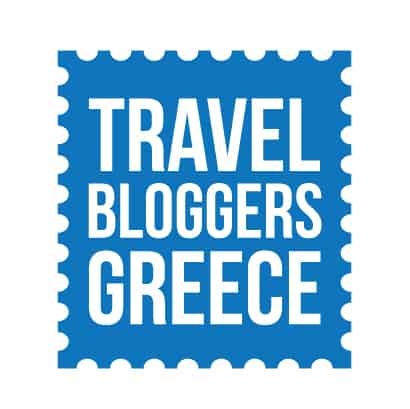 We were Kalavrita last June and we will be there the 21st through the 23rd of August 2016. 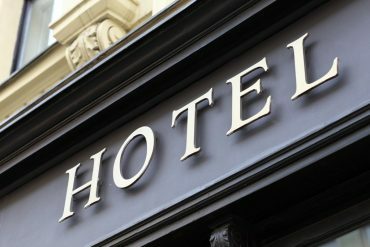 We absolutely love the Hotel Filoxenia and staff. So looking forward to our few days with them. This time we will be looking for paperwork on my husbands PaPou. I have been there many time and you have covered the area beautifully and thoroughly! Thank you, Mary. 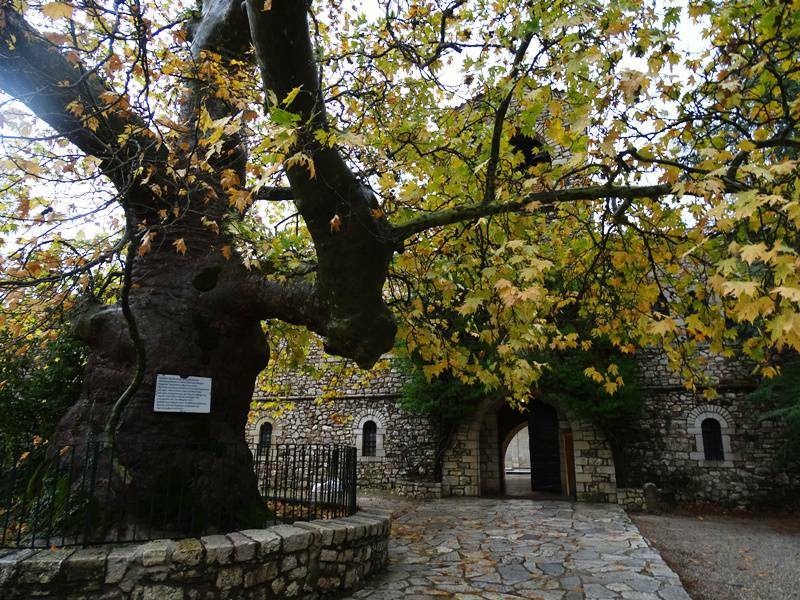 Kalavryta is such a great place to visit with a lot of natural beauty and history.